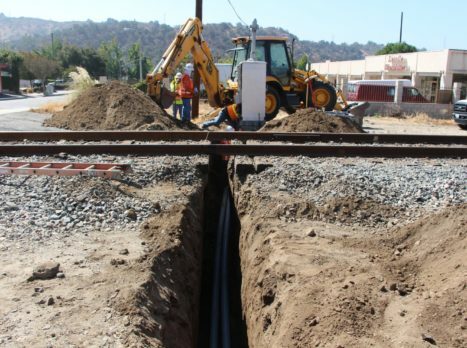 The Glendora station is part of the Foothill Gold Line from Glendora to Montclair, and will be located just south of the city’s historic downtown, east of Vermont Avenue and west of Glendora Avenue. The station will be a center platform station, with light rail tracks on either side (one for westbound and one for eastbound trains). 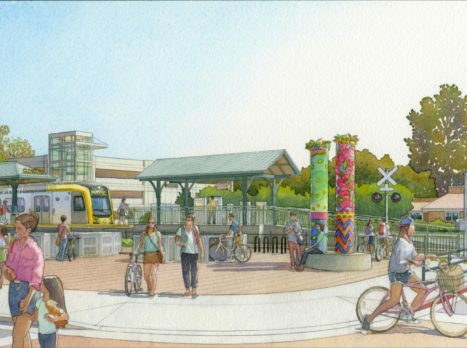 The Glendora station will have an associated parking facility, and have amenities for riders arriving by walking, bicycle, bus and drop-off. 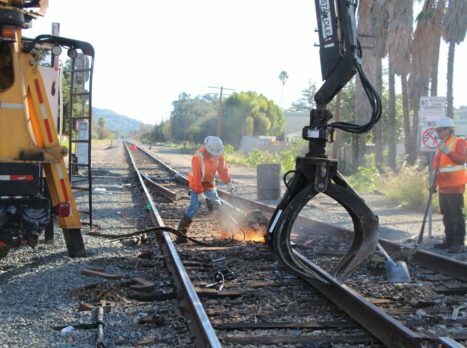 Once completed, three tracks will run through the City of Glendora within the shared rail corridor – the two light rail tracks will be located in the north portion for the Gold Line and the one freight track will be on the south. While the two systems will share the rail corridor, light rail trains and freight trains do not share tracks. 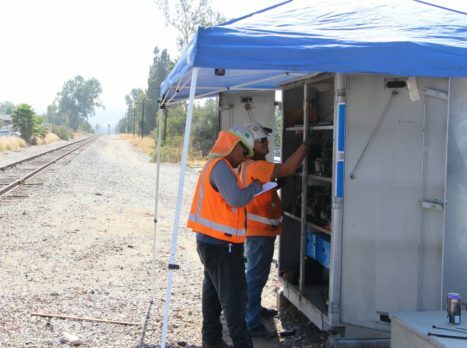 Permanent changes around the corridor will also occur due to the project, including safety enhancements at all street crossings (raised medians, red curbing and turn restrictions within 100 feet of the rail corridor at all street crossings), new fencing and walls along the entire rail corridor, and new overhead electrical lines to power the Gold Line system. 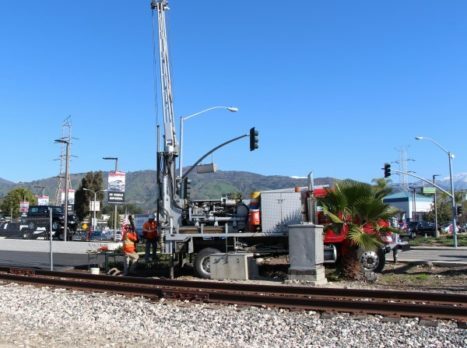 In Glendora, new light rail bridges will be built over the intersection of Foothill Boulevard/Grand Avenue, at Lone Hill Avenue and at Route 66 (where the existing freight bridge will also be relocated and rebuilt as part of the project). A traffic signal will be installed at the intersection of Elwood Avenue and Foothill Boulevard. 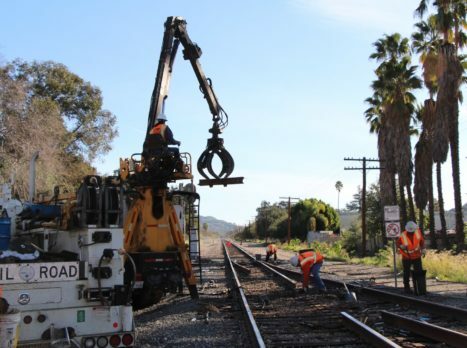 West Ada and Glenwood Avenues will be permanently closed at the railroad corridor, as required by the California Public Utilities Commission to improve safety along the corridor, and made into cul-de-sacs. 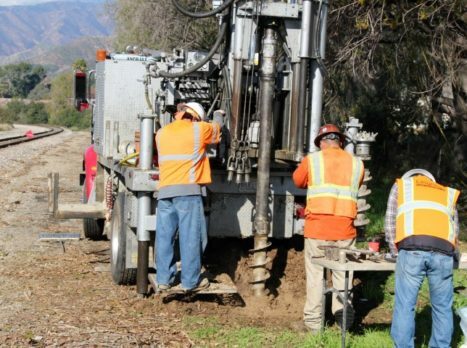 Once completed, a trip from Glendora to Pasadena will take approximately 22 minutes and further to downtown Los Angeles will take approximately 52 minutes. For more information on the station, including the public art planned, click here for the latest station fact sheet. Michael Hillman is an accomplished local artist with an extensive resume of public art projects completed in California. In, 2004, Michael received a grant for the Visiting Artist Program at Citrus College. The artist and his students designed and created a bench and two hand-made tile wall murals. Some of his other work includes work for the City of Pomona to create a large-scale diorama for the Los Angeles Fair, which won an award. Michael received a Masters of Art & Ceramics degree from Cal State Long Beach. His experience includes teaching as a Professor of Art at Citrus Community College since 1997. He previously served as a Professor of Art at Azusa Pacific University and was an art consultant for the J. Paul Getty Museum in 1994. 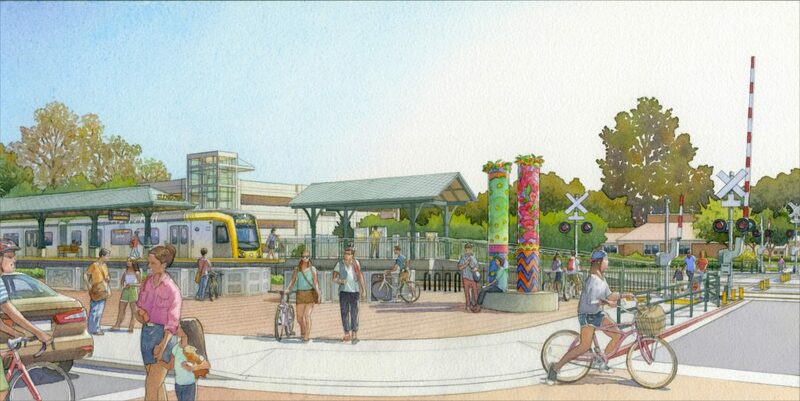 Michael’s concept for the Glendora Station art is derived from the rich history of the town in which he lives and works. “Glendora Home: A Slice of Sunshine” is the title of Michael’s theme for the station and refers to a brand of citrus that was grown and packed in Glendora and the company’s slogan: “A Slice of Sunshine.” The title also reflects the artist’s feelings about Glendora. Michael draws from the history, culture and landscape of the city to develop the art for the Glendora Station that he hopes will encourage passengers, especially those from the area, to reminisce. Michael’s design will interpret local themes in a contemporary way while engaging various senses. To do this, he has designed station landmarks, which are large, oval columns embellished using dazzling glass tesserae in brilliant colors to evoke imagery (including citrus, the foothills, bougainvillea, the brodiaea filifiolia flower and water). These sculptural columns will be placed in the station area. For more information on the artist and artwork, click here for the latest station fact sheet. 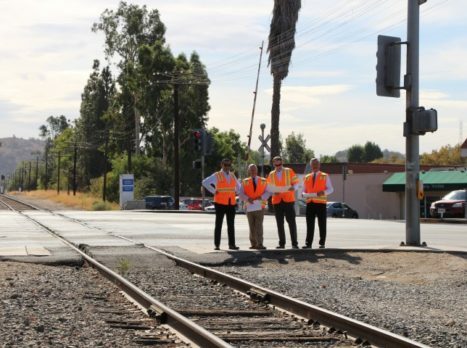 During 2006-7, the Construction Authority worked with the City of Glendora (along with all other Foothill Gold Line cities from Pasadena to Montclair) to explore their visions for integrating transit oriented developments (TOD) near the future station. 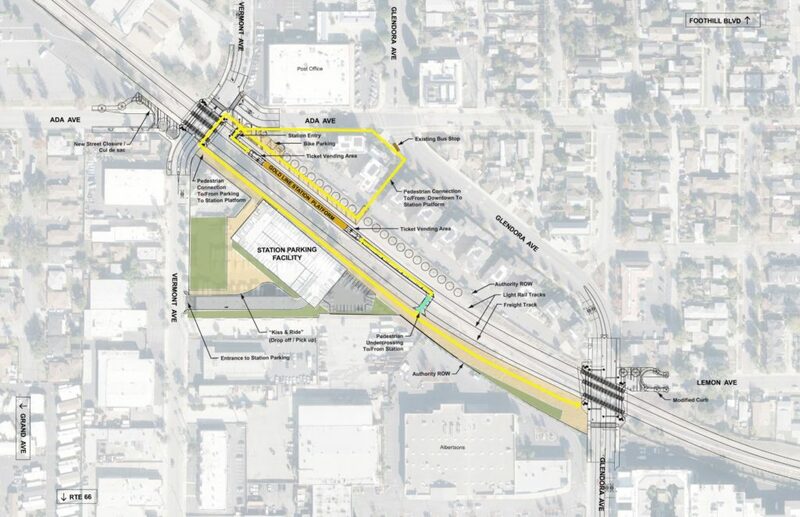 At that time, the city was laying the groundwork for TOD near the future station by updating the city’s General Plan and Route 66 Specific Plan, and identifying opportunity sites for mixed-use development. The Construction Authority and city began a new dialogue through another TOD study in 2010, which revisited the earlier concepts following the economic downturn. In 2016, the Construction Authority measured the progress of TOD implementation since the first segment of the line opened for passenger service in 2003, including reviewing the potential TOD that could take place near the stations looking forward. Click here to learn more about the TOD Studies. Glendora is nestled at the base of the scenic San Gabriel Mountains, in the eastern portion of Los Angeles County. Located approximately 27 miles from downtown Los Angeles, Glendora offers convenient access to major commercial, cultural, educational and recreational areas in Southern California. Founded in 1887, Glendora was officially incorporated as a City in 1911. The City remained a small citrus-producing community until the late 1950s, when agriculture gave way to large scale residential development. Today, over 50,000 residents enjoy Glendora’s highly rated public and private schools, lush parks, comprehensive community services and one of the lowest crime rates in the nation. From tree lined neighborhood streets and quaint downtown Village shops to the modern architecture of the Financial Way business center, Glendora is a haven from the fast pace of the Los Angeles metropolitan area.